While many celebrate the festive period with their families and loved ones, the Liverpool team will instead be spending Christmas Day training at their Melwood base. This is due to a Premier League match against Newcastle on Boxing Day, where Jurgen Klopp’s side hope to get their seventh win in a row to maintain the gap between themselves and Manchester City at four points at top of the table. 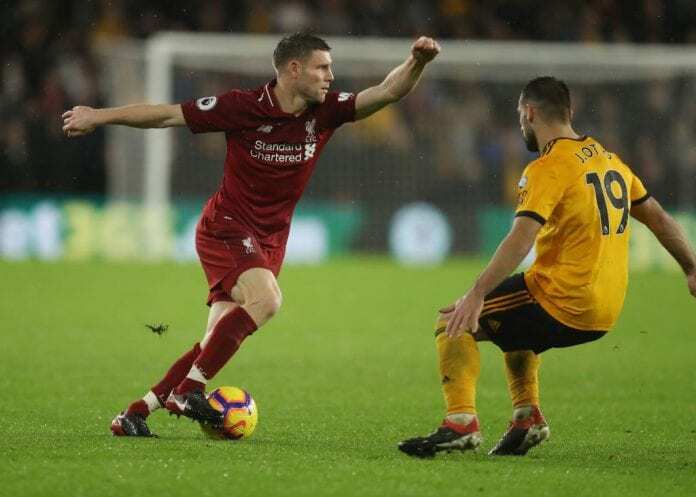 “Boxing Day always seems to have a different feel,” Milner told the club website. “There are plenty of distractions, or there could be, for players and for fans and things like that, and it’s always a nice festive feeling around the game. “It’s a traditional thing to do at Christmas but as players we have to focus on the job at hand and make sure we’re not distracted by the time of year. “It is a time of year for family and you have to make time for that, but when you’re training on Christmas Day and then going to the hotel and preparing for the game, your mind has got to be on that. “We’ve got a good group of players who have done that very well this year and a lot of players who are very experienced around Christmas time and know what it’s about. The Liverpool and Newcastle match will take place at Anfield with kick-off set for 16:00 (CET) on Wednesday.